Boy, that Hideo Kojima! First, he torments us with Metal Gear Solid V: Ground Zeroes on the PS4, and now via Twitter he's teasing the game's Remote Play for the PS Vita. The nerve. 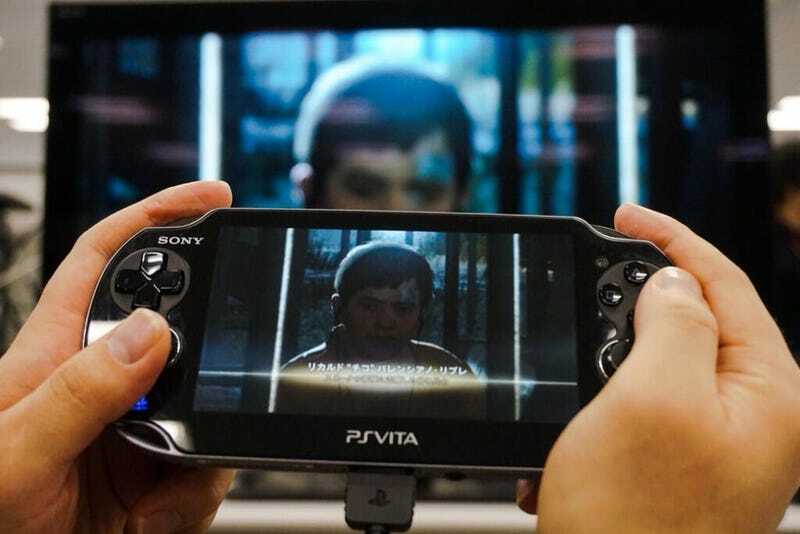 In these stills, you can see how Ground Zeroes apparently looks when running on the Vita. Nice, it seems! I'd like to see the game in motion on the Vita, but I guess these will have to do. Metal Gear Solid V: Ground Zeroes will be released on the PS4, PS3, Xbox One, and Xbox 360 this March.